The Television Academy is once again partnering on Storytellers, an annual event produced by the veteran empowerment campaign Got Your 6 to celebrate the accomplishments and inspirational stories of our nation’s veterans. 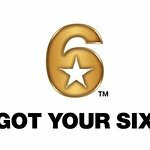 Scheduled as a lead up event to Veterans Day (November 11), the Television Academy hopes the Tuesday, November 1 event will increase awareness among content creators of Got Your 6’s campaign to shift the narrative of veterans as “broken heroes” to one focusing on veterans as leaders and civic assets. Storytellers gathers veterans, who deliver TED-style talks about their ideas, accomplishments, philosophies, and the many contributions they are making in their communities and workplaces. A study commissioned by Got Your 6 revealed that the general population stereotypes veterans as more likely than civilians to be unemployed, undereducated, homeless, and experience mental health issues. The reality is much more complex and the entertainment industry can play a role in changing the narrative. Hosted at the Television Academy’s Saban Media Center in Los Angeles, Storytellers will feature veteran and actor Jeff Bosley; founder and CEO of Combat Flip Flops, Matt Griffin; founder and CEO of the nonprofit TentEd, Zack Bazzi; Marjorie Williams of Endemol Shine; singer/songwriter Stephen Covell; and comedian Thom Tran. The event will include remarks by Ryan Phillippe, who stars in the upcoming USA Network drama “Shooter,” which was honored by Got Your 6 as a “6 Certified” project. Phillippe plays Bob Lee Swagger, a highly decorated U.S. Marine Corps veteran who is coaxed back into action to prevent a plot to kill the President. The fourth annual talks will be live-streamed at facebook.com/GotYourSix and later distributed online. Videos from the 2015 event were viewed more than three million times. In addition to Los Angeles, Got Your 6’s Storytellers will be held in New York City on Wednesday, October 26 at the HBO Theater, and in Washington, D.C., on Thursday, November 10 at Discovery Communications. For more information and to register, visit gotyour6.org/storytellers.